A great job putting it all together. It's been a LONG wait to see this on dvd and what a great job you've done putting it all together. I had really given up thinking this would ever happen fearing that there just wasn't enough intrest in classic anime. I only hope you'll complete the series with set 2 soon. I enjoy the first season but look forward to season 2 with it's higher cell count. I'm glad you were able to locate and assemble the entire (U.S. version) series rather than producing a collection set. Thank you to all you fans like myself who never stopped loving (since childhood) this wonderful show. I grew up with Astro Boy from age 3 on. Astro Boy is my hero. For twenty years I've waited for this TV show to come out in DVD. I adore ASTRO BOY! I have the 1980's and 1990's versions also. 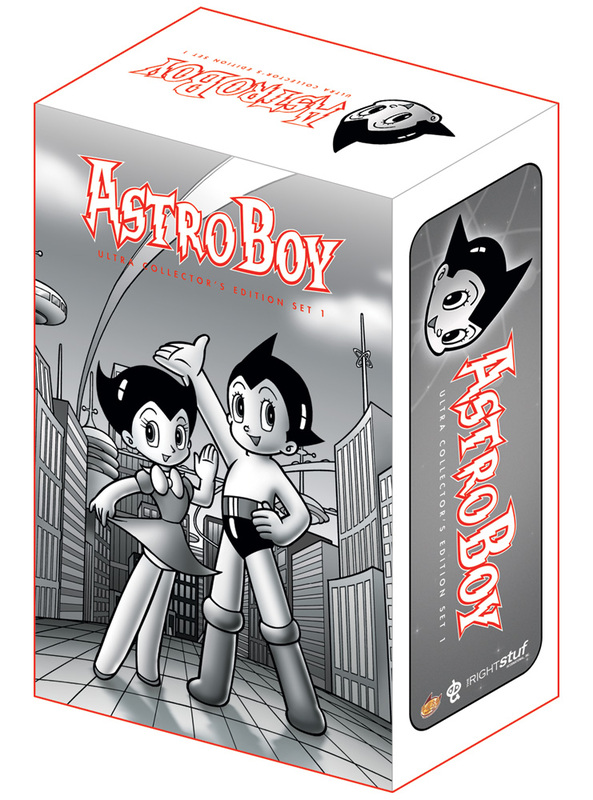 I hope that Right Stuf will produce more of the original ASTRO BOY TV shows! It took 40 years to fulfill my dream of owning Astro Boy! When I was 16 years old I watched a small assortment of Astro Boy cartoons which were cut to ribbons to allow room for commercials on the Engineer Bill Show. In that day and age there were no VCRs, only poor tape recorders which ran on 9 volt batteries with which I attempted to capture some of the soundtrack of my favorite Astro Boy adventures. Astro Boy stayed on the air long enough through the 60's so that I was later able to capture better mono soundtracks of some of the Astro Boy adventures and I even learned how to draw cartoon pictures of the little robot so I could remember him after the show went off the air. 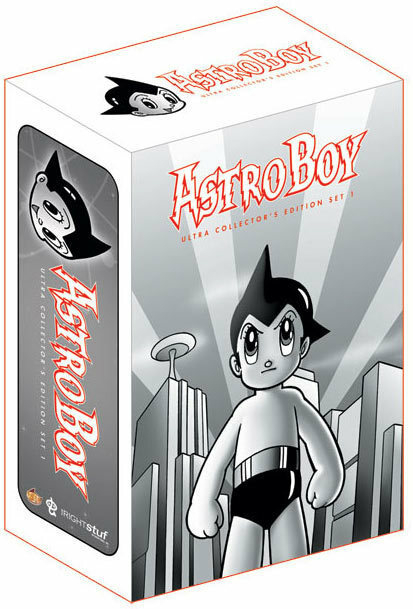 When Right Stuf put out the collection of VCR tapes of many of the original Astro Boys in the 90's, I was stunned because they had published more complete episodes than I ever dreamed existed. Now after 40 years, at the age of 56 years old, I have just brought the first 53 episodes complete and on August 31, the remainder of the 104 episodes will be mine! It's like a dream come true. Finding Astro Boy is like finding a lost brother! Never in my life did I ever think that I would be able to own such a superbly restored, complete offering of my favorite cartoon show ever...Astro Boy and the Right Stuf did it all for me after nearly a lifetime of waiting! What joy! What a thrill! What I didn't realize all of these years is that Astro Boy was not just a great cartoon show but the important beginnings of Anime history.